The second edition of IIF - CEE & SEE Regional Actuarial Insurance Conference: Inclusive Insurance took place on 28 February in Skopje. The event was organized by the?Insurance Supervision Agency of Macedonia and XPRIMM, aiming to involve all the relevant stakeholders to explore the inclusive insurance concept and identify the ways actuarial services providers can contribute to developing this new domain. The main concept of the conference is that insurance should be accessible to all social classes, regardless of their wealth & income status. 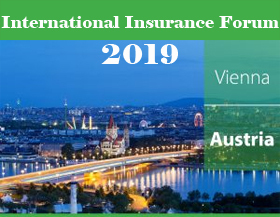 Yet, products offered today are conventional insurance products, largely inspired from the developed markets as "one-size-fits-all" solutions, affordable to only middle- and high-income clients in the Eastern Europe's emerging & developing markets. Inclusive insurance's goal is making insurance available to all, with responsible insurance offers, thus making up for a solution to narrow the insurance coverage gap in the region. The Government of Republic of Srpska has established a Draft Law on Amendments to the Law on Insurance Companies. The proposed articles will include changes in insurers' internal organization, higher amounts of founding capital required, as well as changes in administrative procedures. Between 2008-2017, the Czech insurance industry grew in terms of gross written premiums (GWP) by EUR 836 million (+ 16.5%). Overall, the market increased on all main business lines, with the exception of MTPL, which dropped EUR 6 million (- 0.7%) by the end year. The entire Lithuanian insurance market totaled about EUR 880 million at the end of 2018, 11% more y-o-y, according to the year-end figures recently published on the Central Bank website. Slovenia's Government decided to lift some restrictions over Nova Ljubljanska Banka (NLB), the largest bank in Slovenia, to further advance its privatisation process. NLB Vita, the insurance subsidiary of the NLB Group, could be sold entirely. Adriatic Slovenica's rating was upgraded following the completion of the acquisition process made by Generali Group over the Slovenian insurer. The decision comes after Adriatic Slovenica's Fitch rating was set to Rating Watch Positive (RWP) in May 2018. Zavarovalnica SAVA, part of Slovenian re/insurance group SAVA Re, announced it has finalised the aquisition of the two Croatian units of the German insurance group ERGO, part of MUNICH Re: ERGO osiguranje and ERGO zivotno osiguranje. The cabinet of Ministers approved in February, 2019 the creation of a new insurance system for farmers that seeks to offer financial support to producers of all crops, as well as for sheep and goat farmers. During 1993-2018, Greece insurers paid EUR 359 million for natural catastrophes claims. The 1999 earthquake was by far the most devastating and costly natural disaster, when a total of EUR 111 million in insurance indemnities were paid to the victims. According to the results of 2018, retail insurance in Armenia amounted to 51.8% or AMD 21.3 billion, while corporate insurance reached 48.2% or AMD 19.7 billion, as data from the Financial Rating of insurance companies of Armenia, prepared by ArmInfo, show. For January, 2019, Azeri insurers generated GWP in the amount of AZN 88.2 million (+6.57% y-o-y), according to the Chamber of Supervision of Financial Markets of Azerbaijan. Life GWP in 2018, according to preliminary data, increased by 32.8% to RUB 478 billion, and paid claims in the sector went up to RUB 73.4 billion (+37.5%), Igor YURGENS, the President of the All-Russian Insurance Association (ARIA) announced. In 2018, the net profit of INGOSSTRAKH decreased by 38% (from RUB 10.7 billion to RUB 6.7 billion), according to the company's General Director Mikhail VOLKOV. In 2018, Tajik insurers generated TJS 234.2 in GWP (EUR 21.68 million), the market decreased both in local currency (-0.7%) and in euro (-2.76%), according to market data published by the National Bank of Tajikistan. In 2018, the Uzbek insurance market went up by 76.31% y-o-y in local currency, and by 79.01% in euro, due to a more favorable exchange rate at the end of 2018, according to the market data, provided by the Ministry of Finance of the Republic. The family-owned insurer based in Dusseldorf, Germany, ARAG Group announced is to launch operations in the Republic of Ireland after it agreed to acquire the local business operations of DAS Legal Expenses Insurance Company Limited in the country which is part of the ERGO Group. Global commercial insurance pricing increased for the fith consecutive quarter in Q4 2018, largely driven by insurance pricing for property, financial and professional LoBs, the latest data published by MARSH show. Reinsurer Swiss Re announced it generated a full-year net income of USD 421 million in 2018. The result includes estimated large claims of USD 3.0 billion, net of retrocession and before tax, which significantly affected both Property & Casualty Reinsurance (P&C Re) and Corporate Solutions' earnings. French insurer AXA announced its 2018 gross revenues have crossed the EUR 100 million border reaching EUR 102.87billion (vs.EUR 98.55 billion in 2017) while the year-end net income compressed two-thirds to EUR 2.14 biliion. UNIQA has around EUR 700-800 million at its disposal to invest in new acquisitons, InsurTech and Fintech. The Group won't expand its business in new countries but will invest instead in the CEE markets where it is already active. Austrian group UNIQA - announced its FY 2018 business increased by 0.3% y-o-y to EUR 5.31 billion. "The solid growth in P&C insurance and health insurance compensated for the decline in life insurance premiums caused by the planned decrease in single premiums in international business", the company pointed out in a statement. Global insurance and reinsurance broker Jardine Lloyd Thompson Group (JLT) has released its preliminary results for the year ended December 31, 2018, before the completion of its sale to Marsh & McLennan Companies (MMC). Under the strong pressure put by the technological evolution, the motor insurance business is rapidly changing, both in operational terms and, most visible, in the way insurers are interacting with their customers. Step by step, the insurers' relationship with customers evolves from simply indemnifying insureds for the losses suffered because of road incidents, to helping them prevent incidents and rapidly recover after the accidents that couldn't be avoided. 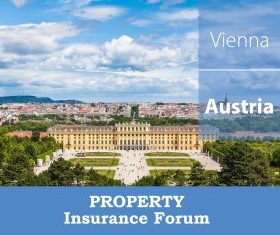 Did you book your seat at one of the key European events dedicated to property and cyber insurance? Climate risks have always produced high impact events, causing material and human losses that often have remained in collective memory as reference points. On the other hand, cyber risks are just emerging, but they are already demonstrating a potentially catastrophic impact which still needs to be better understood and assessed. Global reinsurer Swiss Re informed Anette Bronder has been appointed Group Chief Operating Officer (COO) and member of the Group Executive Committee, effective 1 July 2019, succeeding Thomas Wellauer who will be retiring at the end of June. Paris-based reinsurer SCOR announced a series of senior appointments across its Global Markets and Finance and R&D teams, both part of its SCOR Global Life division. Bogdan BICHINET will join the management team of GENERALI Romania as Member of the Board and Chief Financial Officer - CFO starting March 1st, after this week the Board of the Romanian Financial Supervisory Authority (ASF) approved its appointment. The Chair of the Financial Supervision Commission Karina KARAIVANOVA is leaving the post three years earlier after she resigned on February 19 ahead of taking the position as the country's representative at the European Bank for Reconstruction and Development (EBRD) on March 1. She was nominated by the Cabinet to the post in December 2018. On February 19, 2019, Phillip GRONEMEYER was appointed General Director of Allianz in Russia, and Svetlana AMSHANNIKOVA became the new General Director of Allianz Life. Previously both posts were held by Nikolay KLEKOVKIN, according to a press release of the Group. RGAX is hosting the third annual "Big Ideas Competition"
RGAX, subsidiary of Reinsurance Group of America (RGA), opened invitations for anyone outside insurance and reinsurance field to join Big Ideas Competition. Interested persons can submit their ideas online by March 21, 2019. XIII International Conference "Insurance in Central Asia"